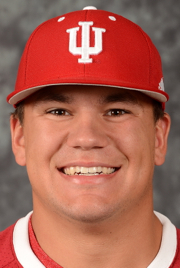 The week-4 Primetime Performers list features three catchers among the four position players on the list, with Marietta joined by Clemson sophomore signalcaller Garrett Boulware (Anderson, S.C) and Indiana sophomore C/LF Kyle Schwarber (Middleton, Ohio). 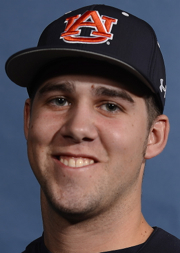 Ziomik is one of two lefthanded pitchers among the honorees, along with Auburn junior reliever Conner Kendrick (Gulf Shores, Ala.). The honor also includes three righthanded starters – Michigan State junior David Garner (Niles, Mich.), Seton Hall senior Jon Prosinski (Skillman, N.J.) and UNLV sophomore John Richy (Golden, Colo.). Notre Dam junior closer Dan Slania (Tucson, Ariz.) and Illinois sophomore rightfielder Will Krug (Park Ridge, Ill.). 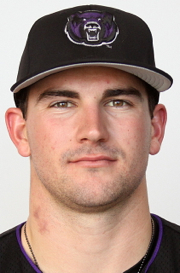 Veteran Michael Marietta led Central Arkansas, both offensively and behind the plate, during the series win at previously unbeaten Mississippi State. MARIETTA hit 7-for-15 (.467) while having a hand in eight of the Central Arkansas runs (5RBI-4R-HR) during 3-1 week that included winning the series at previously unbeaten Mississippi State (cb360 #5; 2-4, 7-5 in 10 inn., 7-3), amidst the challenging atmosphere of Dudy-Noble Field. The senior catcher had hits, RBI and runs scored in all four games during the week (including a 10-1 win at Grambling). Marietta reached base 11 times spanning the four games (with two walks and two times hit-by-pitch) and hit for the cycle during the series at Mississippi State, with 13 total bases for the week. The veteran signalcaller continued to direct an experienced pitching staff that has been a key component to UCA’s early-season success. He hit 6-for-12 in the series at Mississippi State (4 RBI, 3R, HR, 3B, 2B, 2 HBP), smacking his first home run of the season (vs. closer Jonathan Holder) in the series opener before playing a lead role in the game-2 win (2-for-5; 2RBI-R-2B-HBP). Marietta helped UCA quickly answer the Bulldogs’ pair of runs in the bottom of the 9th, with his full-count, RBI single in the 10th ultimately producing the game-2 win. He closed the series by going 3-for-4 in the finale (RBI-R-3B-HBP). 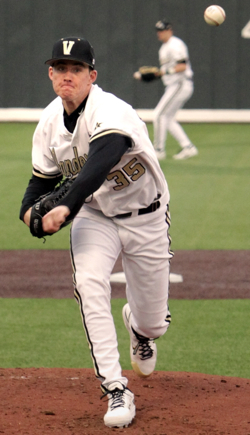 Kevin Ziomek fashioned a dominant 2-hitter in Vanderbilt’s series opener at Oregon. 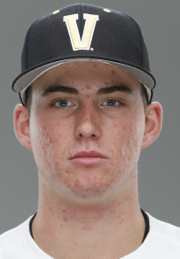 ZIOMEK rose to the challenge as Vanderbilt’s game-1 pitcher in the trip to the Pacific Northwest, fashioning a dominant 2-hitter as the Commodores won 4-1 at cb360 #14 Oregon and went on to take the tough road series. 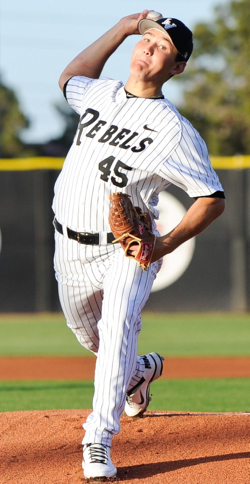 The lefthander struck out every Oregon starter except 6-hole batter Ryan Hambright, totaling 13 Ks en route to his second straight complete game. Ziomek issued only one walk and also a hit a batter, with an efficient 31 batters faced and 117 pitches (80 for strikes). He allowed a double and a walk in the first inning before retiring 25 of his final 27 batters faced. Oregon’s lone run came on Ryon Healy’s home run leading off the bottom of the 4th, followed by nine straight Ducks batters retired, the HBP, and then nine straight outs from Ziomek to end the series opener. Provided key production from bottom half of the lineup during 3-1 week that included winning ACC opening series at cb360 #9 North Carolina State … hit 5-for-1o versus Wolpack, reaching base eight times while factoring into eight of the Tigers runs (5RBI-3R-HR) during the series … led the charge vs. NC State ace Carlos Rodon, as Clemson chased the hard-throwing left-handed in the 5th during 10-5 opener … hit 4-for-5 with 5 RBI and 3 runs scored in that game-1, as Tigers stunningly erased a 4-0 deficit with three runs in the 4th and five in the 5th … stroked RBI single in the 4th, than drive 3-run HR over leftfield fence in the 5th (Rodon departed moments later, his final line was “crazy 8s” – 4.1IP-8R-8H-3BB-8K) … walked three times and scored a run in game-2 win (7-4), adding a double in series finale (4-1 loss) … leads team with .333 batting avg. 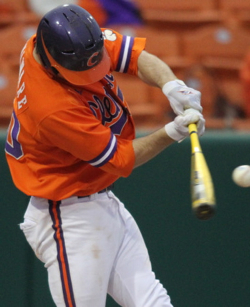 and pair of home runs (11 RBI, 8 runs, 4 doubles, 4 walks) … product of Hanna High School … his brother Ben is a linebacker has signed to play football at Clemson starting in the fall of 2013. 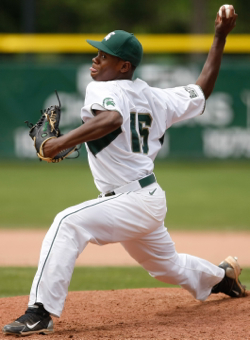 Michigan State … RHP … Jr. 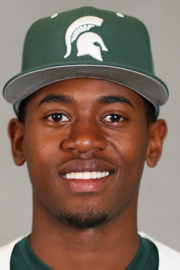 Shut down host team Kentucky (cb360 #10) in game-2 of series, nearly going the distance (8.1) while yielding a lone run and only four hits in MSU’s 6-1 upset – after facing the nation’s top-scoring team (10.3 runs/gm) that owned a .324 team batting avg. (the ‘Cats hit only .133 vs. Garner) … was working on a shutout vs. once-beaten Kentucky, until Paul McGonkey’s solo home run in the 8th … retired first 11 batters he faced, carried a no-hitter into the 5th and logged five 1-2-3 innings (all in the first seven frames) … did not allow a baserunner until a 2-out walk in the 4th (his only free pass of the game) … 19 of his outs came via strikeouts (6), groundouts (9) or popups/foulouts (4) … did not allow a baserunner into scoring position until the 8th … was in control throughout the 108-pitch outing, consistently working ahead in the count while locating three pitches for strikes and touching the low-90s with his fastball … has compiled 3.42 season ERA and 3-0 record in 26.1 innings, with a 4.4 K-to-walk ratio (22/5) and .245 opp. batting avg. 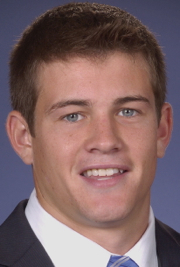 (25 H) … was a three-sport star at Niles High School. Delivered out of the bullpen in a big way during annual Capital City Classic game vs. rival Alabama (cb360 #29) in Montgomery, entering in the 4th and closing the game with six no-hit, shutout innings as Tigers posted 6-3 comeback win (Auburn;s fifth straight win in the CCC game) … inherited runners on the corners with no outs in the 4th and limited the damage, with one run scoring courtesy of an error to give Tide 3-1 lead … faced only 21 batters (three over the minimum, with two reaching on errors) while registering 14 of his 18 outs in strikeouts (8, most by any Auburn pitcher this season) or groundouts (6) … Alabama managed only two baserunners from the 5th-9th innings (none in 8th or 9th) … showed consistent mix of three quality pitches … has yet to be charged with a run allowed (earned or unearned) all season in 16.1 innings, with a 5.4 K-to-walk ratio (22/5) and a lowly .077 opp. batting avg. 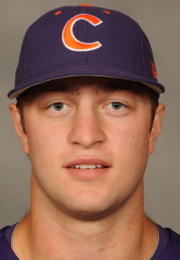 (4 H) … transfer from Northwest Florida State JC, after playing limited role at Georgia Tech in 2011 … product of Northgate High School … brother Catlan is a senior pitcher at Kennesaw State. Table setter who hit 7-for-13 (.539), reached base eight times and scored five times, as Illini completed sweep at cb360 #48 Baylor (4-3, 5-4 in 11 inn., 6-1) to move into the current top-50 … had pair of doubles plus an RBI, walk, sacrifice bunt and stolen base during the series … doubled to open the series and scored on Michael Hurwitz home run moments later … drew leadoff walk during decisive top of the 9th in series opener, coming around to score tying run (Illini then plated the gamewinner) … went on to hit 3-for-6 with a double and two runs scored in game-2 (another narrow win) and closed series batting 3-for-4 with an RBI, run, sac. bunt and stolen base … second on team with .375 batting avg. 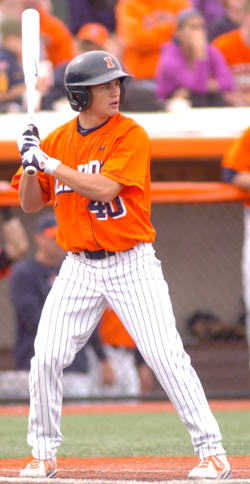 and 14 runs scored (RBI, 2 doubles, 2 walks, 4 stolen bases) … product of Maine South High School. Hit 7-for-15 (.467) while having a hand in eight of UCA’s runs (5RBI-4R-HR) during 3-1 week that included winning series at previously unbeaten Mississippi State (cb360 #5; 2-4, 7-5 in 10 inn., 7-3), amidst the challenging atmosphere of Dudy-Noble Field … had hits, RBI and runs scored in all four games during the week (including 10-1 game at Grambling) … reached base 11 times spanning the four games (2 BB, 2 HBP) and hit for the cycle during series at Mississippi State, with 13 total bases for the week … veteran signalcaller who continued to direct experienced pitching staff that has been a key component to UCA’s early-season success … hit 6-for-12 in the series at Mississippi State (4 RBI, 3R, HR, 3B, 2B, 2 HBP) … smacking his first home run of the season (vs. closer Jonathan Holder) in the series opener before playing lead role in game-2 win (2-for-5; 2RBI-R-2B-HBP) … helped UCA quickly answer the Bulldogs’ pair of runs in the bottom of the 9th, with full-count, RBI single in the 10th to produce the game-2 win … closed series by going 3-for-4 in the finale (RBI-R-3B-HBP) … batting .351 for the season with a .474 on-base pct. 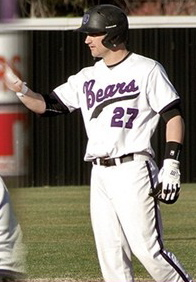 (10 BB, 6 HBP), 19 RBI and 20 runs scored (9 doubles) for UCA team that improved to 14-2 and moved into the national rankings (the Bears were picked to finish fifth this season amidst a talented Southland Conference field that includes newcomer Oral Roberts) … product of St. Bonaventure High School … father Mike played basketball at Cal Poly. 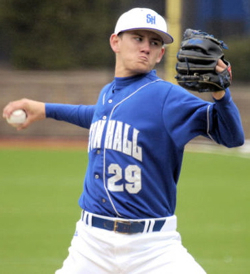 Seton Hall … RHP … Sr. Went the distance opposite Pepperdine ace and elite pro prospect Scott Frazier, leading Pirates to first win of season in series opener on the road vs. the cb360 #47 Waves (who posted their own noteworthy road wins earlier this season vs. Texas A&M and Oklahoma) … scattered six hits and did not walk a batter, while avoiding any major trouble in the 6-2 win … kept the ball while inducing 16 groundouts to go along with four strikeouts (plus one infield popup) … half of the six hits he allowed came in the 7th, when the Waves scored their only runs … closed game with seven straight outs (two Ks. 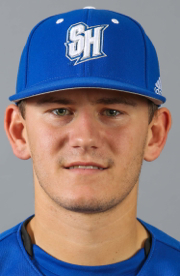 four groundouts and the infield popup) … outside of the 7th inning, he allowed only one runner into scoring position and totaled five 1-2-3 innings (spanning the 4th-9th) in the 109-pitch outing … retired 11 straight from the 3rd-6th innings … preseason BIG EAST pitcher of the year who struggled earlier in the season, now owning a 4.15 ERA amd 4.8 K-to-walk ratio (19/4) plus a .202 opp. batting avg. 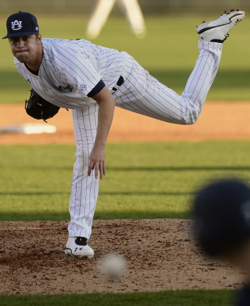 in 26 innings (18 H) … a first team all-BIG EAST performer in 2012 … product Montgomery High School. Completed UNLV’s series sweep at cb360 #8 Stanford by going the distance in 5-1 win, with the lone run coming unearned … faced only 30 batters, with two hits allowed and no walks or hit batters … his third baserunner allowed came on a two-base infield error in the 4th (when Stanford scored without a hit, as the runner advanced on a groundout and sacrifice fly) … located 67 of his 98 pitches for strikes, with four strikeouts … held Stanford’s 1-thru-7 spots in the lineup to a combined 1-for-23 hitting day (one of the Cardinals’ top hitters, Austin Wilson, missed the game due to injury) … logged six 1-2-3 innings, allowed only two runners into scoring position and retired the final 12 batters he faced … his impressive outing helped extend UNLV’s winning streak to nine games and lift the Rebels into the national rankings for the first time in 10 years … owns a 2.96 ERA and 2-2 record, with 14 walks and six walks in 27.1 innings (22 hits; .210 pop. batting avg.) … product of Golden High School. 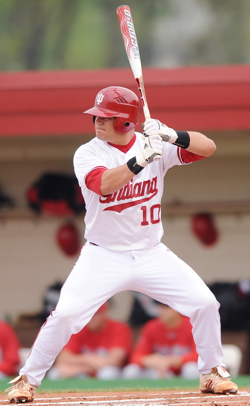 Collected hits and key plays early and often during series at cb360 #30 Florida, batting at a .714 clip (10-for-14; RBI-4R) as the Big Ten favorite Hoosiers took 2-of-3 from the Gators (4-1, 4-6, 7-4) … registered hits, RBI and runs during each of the three games … had a 1.000 slugging pct. during the series (HR, 2B) and reached base 11 total times, including five trips on-base in the opener with 4-for-4 batting and a walk (RBI, R) … had two more hits, plus and RBI and run, during game-2 before huge effort in the series-deciding third game (4-for-5; 2 RBI, 2 R, HR, 2B) that saw IU leading 6-0 entering the 8th inning … struck out only once during the series, while batting out of the 2-hole … returned from Florida with .471 season batting avg. that was best by any Big Ten player … his current season stats include team bests in RBI (15), home runs (3) and runs (15), plus four doubles and six walks … earned Freshman All-America and second team all-Big Team honors as a freshman in 2012 … product of Middletown High School. 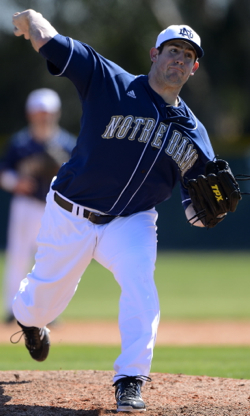 Notre Dame … RHP/reliever … Jr.
Imposing closer, checking in at 6-foot-5 and 275 pounds, who has emerged as one of the top relief pitchers and MLB prospects in the college game – despite being unheralded out of high school … Arizona native who returned to the southwest last week at UCLA tournament and rose to the challenge in impressive fashion, posting a save and 3.1-inning relief win during pair of 1-run thrillers, while allowing no runs and three total baserunners spanning 5.1 total innings (3 hits, 3 strikeouts, only 18 batters faced and 49 total pitches) … entered USC game with Irish clinging to a 2-1 lead – less than 24 hours after ND suffered a heartbreaking 2-1, 10-ining loss to the host Bruins – and retired first four batters he faced before a pair of 1-out singles in the 9th (one hit to the left side of the infield) … ended USC game by inducing a double-play, bunt popup back to the mound … followed that save with the long-relief win vs. cb360 #15 Oklahoma (6-5, in 10 innings) … faced only 11 OU batters in the 3.1 innings (H-2K, 30 pitches) … entered that game in the 8th with a runner on second, forcing a flyout for the third out (ND later tied it in the bottom of the 9th, after his clutch 1-2-3 top of the inning ) … allowed a 20out single in the 10th but left the runner stranded, setting up ND’s winning rally … has yet to allow a run all season, spanning 13.1 innings with 10 strikeouts, only two walks and five hits allowed (all singles; .116 pop. batting avg.) … his six appearances have produced three saves and a 2-0 record … led the prestigious Cape Cod League during the summer of 2012 with 10 saves, en route to earning the Russ Ford Award as the CCL’s top reliever … product of Salpointe Catholic High School. 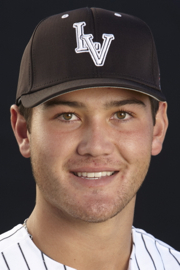 Vanderbilt … LHP … Jr.
Rose to the challenge as game-1 pitcher in trip to Pacific Northwest, fashioning a dominant 2-hitter as the Commodores won 4-1 at cb360 #14 Oregon and went on to take the tough road series … struck out every Oregon starter except 6-hole batter Ryan Hambright, totaling 13 Ks en route to his second straight complete game … issued only one walk and also a hit a batter, with an efficient 31 batters faced and 117 pitches (80 for strikes) … allowed a double and walk in the first inning before retiring 25 of his final 27 batters faced … Oregon’s lone run came on Ryon Healy’s home run leading off the bottom of the 4th (followed by nine straight Ducks batters retired, the HBP, and then nine straight outs from him to end the game) … has allowed only one run (while racking up 28 Ks) spanning his past two starts, both complete games … returned from Oregon having lowered his ERA to 0.87, with 15 more strikeouts (46) than innings pitched (31; also 7 walks and 12 hits allowed/.102 opp. batting avg.) … collected Freshman All-America honors in 2011 … prep All-American while starring for Amherst High School.